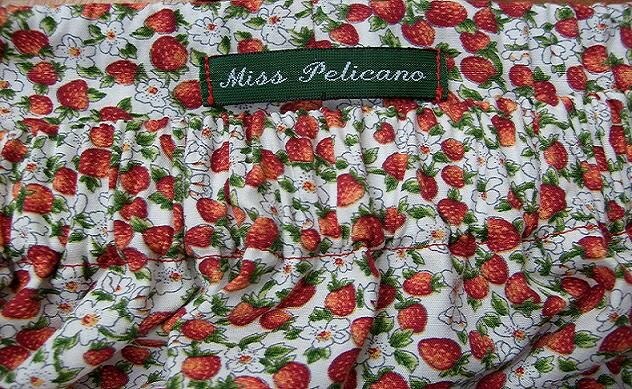 Miss Pelicano: More Girly Skirts! The sun is shining and it's getting warmer! 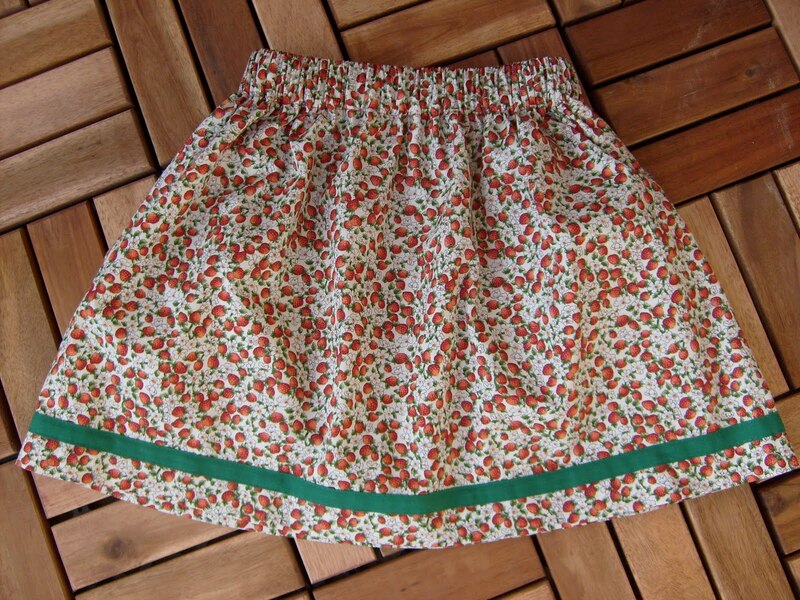 Perfect for more Girly Skirts! 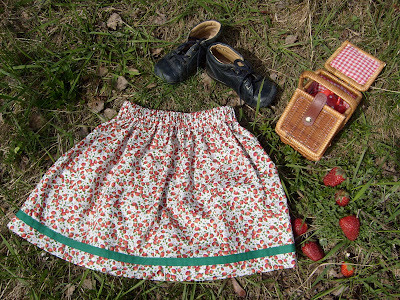 So I made this one with lots of wild strawberries for a little friend of my younger son who's just turning 4! She lives in the area where the old Swedish film studios used to be. Greta Garbo, Ingrid Bergman, Ingmar Bergman, and many others, walked on those streets! They've turned it into a residential area with a cinema for commercial films, but all over they've planted wild strawberries! I called the skirt "Smultronstället". The literal translation would be "Wild Strawberry Place". Ingmar Bergman made a beautiful film called "Smultronstället", which got the name "Wild Strawberries" in English. The special thing about the Swedish expression is that it doesn't really mean the Place where the wild strawberries grow. It means any place which is extra special to you. A dear place which you always want to go back to. So much in a little skirt! The skirt is so lovely and so is the story...... I don't know if there are such places in my life...maybe where I live now and where I am so happy. By Deva: Obrigada também! Olha, também não tenho meninos por isso faco para outras meninas e para vender! M: Thanks! 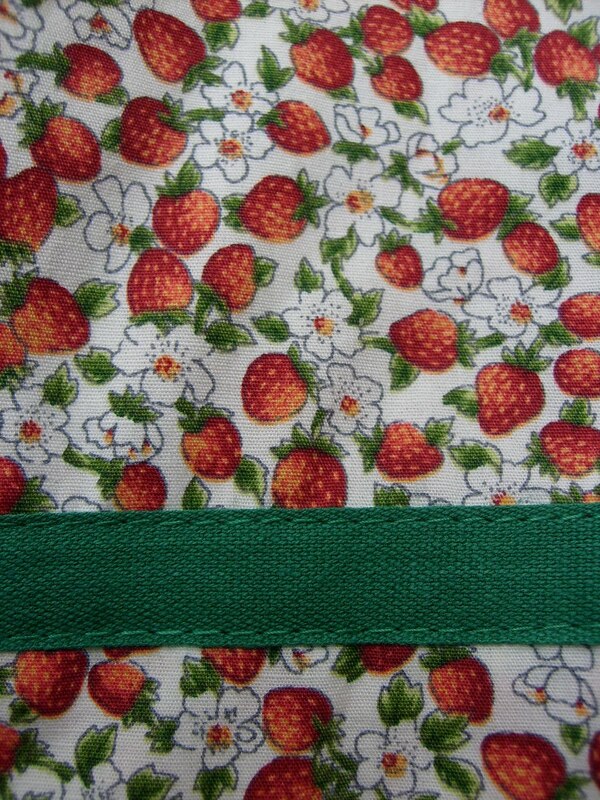 Yes you can buy one of these, or with a different fabric/ribbon, with/out pockets. I try to make them all different from each other! Mail me! Baukje: Thanks! That sounds like a perfect "smultronställe"! And the photos I've seen are definitely inspiring! By Deva:Oooops,queria dizer que não tenho meninAs. Meninos tenho e ainda bem!